The Computer Vision and Multimedia Laboratory and the Swiss Center for Affective Sciences participated in the Neuchâtel International Fantastic Film Festival 2015. 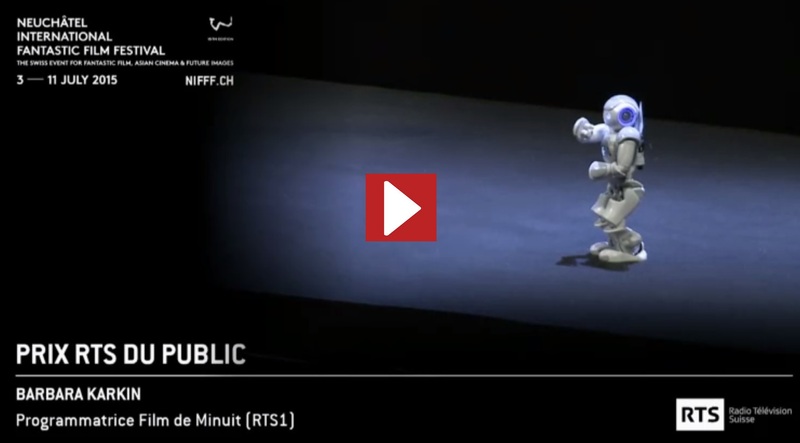 The NAO robot was programmed for an intervention at the Ceremony award (duration of video: 6:00). Example of an affective action game where the difficulty of the game is adapted to the stress felt by the player (duration of video: 2:12). Profs. 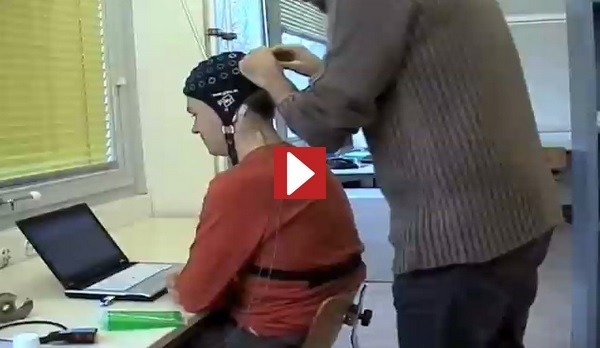 Thierry Pun (Department of Computer Science) and Patrizia Lombardo (Department of Modern French) in an interview for Radio Télévision Suisse (RTS) talking about the experiment “Recording emotions in a public theater”. 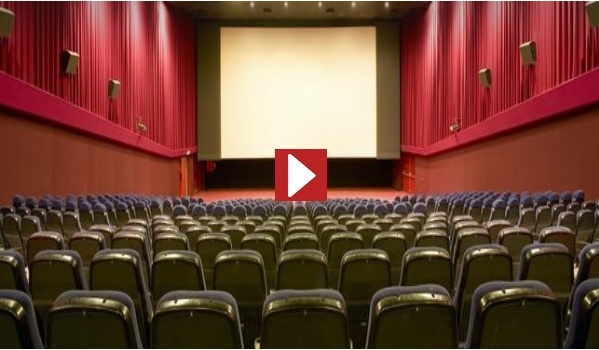 For this experiment around 40 people have had their affective reactions recorded, while watching Martin Scorsese’s classic film “Taxi Driver” at Grütli cinema, in Geneva (duration of recording: 4:00). SpudTv project aims at using physiological signal analysis and Multimedia Content analysis (MCA) for emotional understanding of the videos for music video recommendation. This project has been done in the context of Petamedia European Network of Excellence (NoE) in collaboration with Queen Mary London, TU Berlin, École polytechnique fédérale de Lausanne (EPFL) and University of Twente (duration of video: 4:07). MediaEval is a benchmarking initiative dedicated to evaluating new algorithms for multimedia access and retrieval. 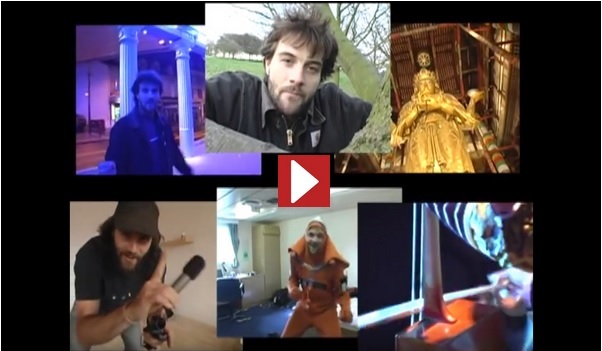 MediaEval focuses on speech, language and contextual aspects of video. We are co-organizing this benchmarking initiative (Duration of video: 2:25). 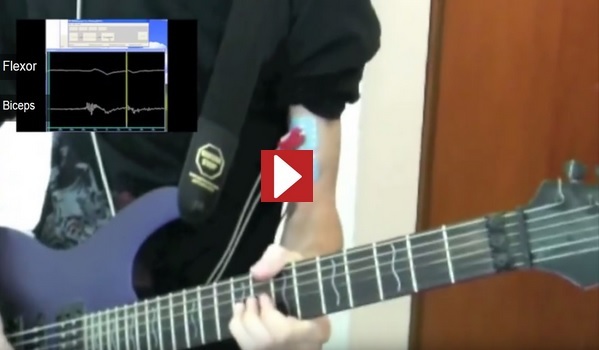 Various parameters of the electric guitar are controlled by body sensors (duration of video: 1:29). 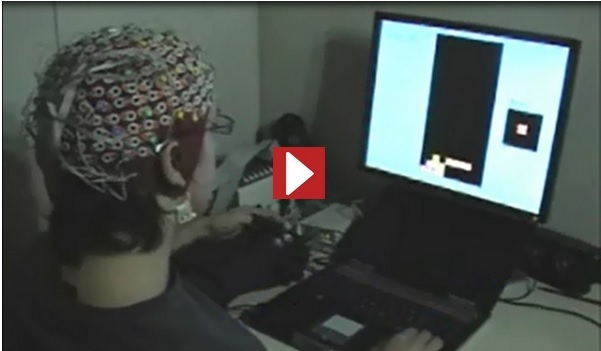 By analyzing the electrical activity of the brain, a computer can detect which letter is being focused on. This way, people can write whole sentences just by looking at the appropriate letters in sequence (duration of video: 1:59). Manipulation of the flippers in pinball with the muscular activity and the real time processing using BCI 2000 (duration of video: 1:13). The classical Tetris game with a twist: the speed of the falling bricks varies according to the emotions felt by the player. For instance, if the person is stressed, the bricks slow down; conversely, they fall faster if the gamer is bored. The goal is to maintained the person fully engaged in a state of flow (duration of video: 1:21). 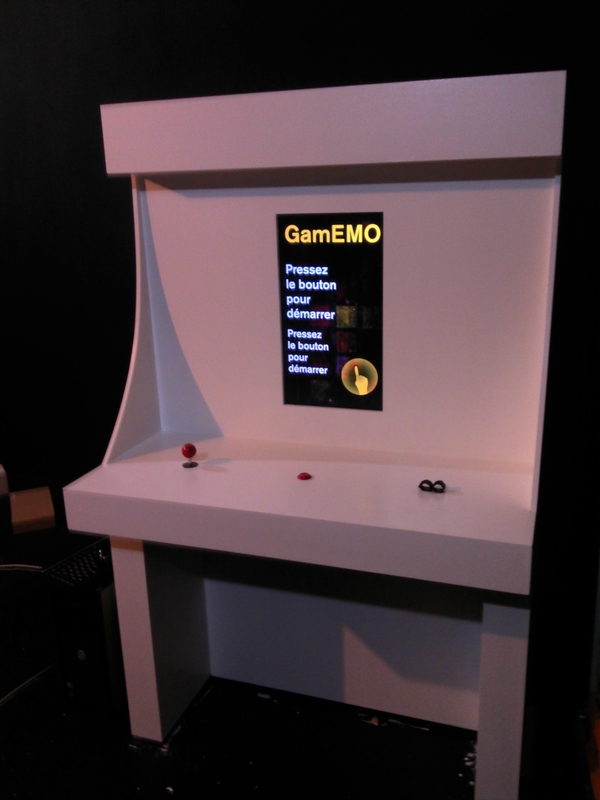 The Tetris game has been part of the Emotion exhibition of the Natural History Museum of Neuchâtel from November 30, 2014 to November 29, 2015. For this occasion the game was integrated as an arcade game. 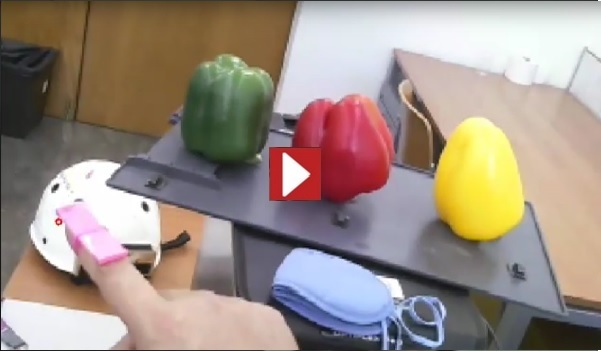 Early video of the SeeColor prototype, whose goal is to replace the visual modality by sounds in a 3D sound space that corresponds to the perceived scene. 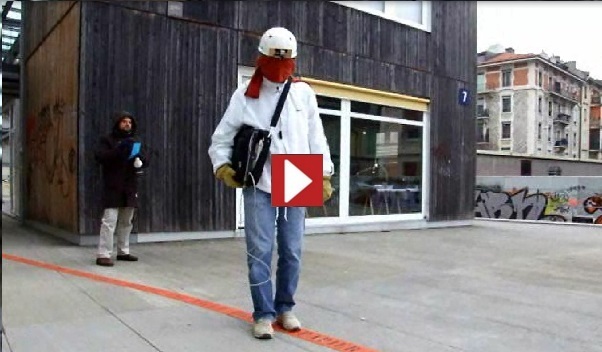 The video shows two experiments: matching coloured socks, and following a serpentine in an outdoor environment (duration of video: 5:00). You can visit this link to see more videos related to this project. The virtual touch of an object produces a spatialized sound according to its color.